Go A Long Way In King Air Maintenance. Maintaining Your Peace Of Mind. We get that simple characteristics like dependability and honesty are critical in any relationship. These very elements led you to operate a truly legendary aircraft like the King Air. So why would you settle for a maintenance provider that doesn’t share the same thinking? 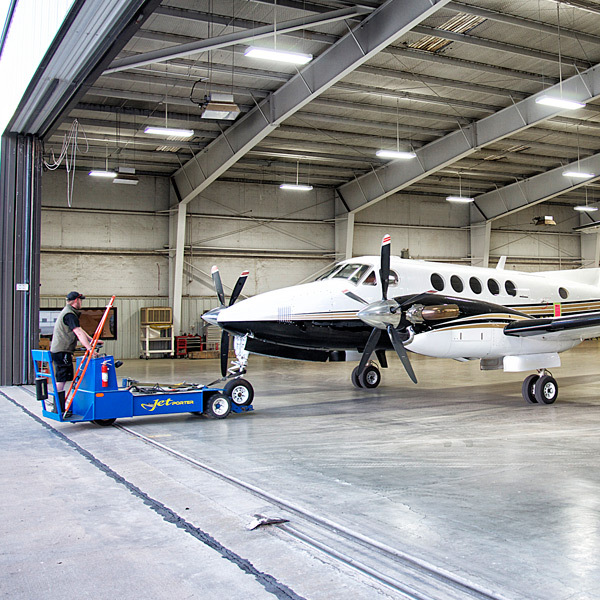 From routine inspections to complete avionics upgrades, look to EFA (Formerly English Field Aviation) for all your King Air maintenance service & support needs. With locations at (KAMA) and (KTDW), dependable, honest King Air support is closer than you think. With our two Part 145 Amarillo based facilities at KAMA AND KTDW, we always have the room and personnel to service all of your needs. Our technicians are fully trained and certified to work on many aircraft types. We specialize in King Air and Citation lines, we are however well versed in almost all GA and Corporate class aircraft and our technicians live for variety. Our technicians have factory training on many product lines including King Airs, Citations, P&W, Williams and Continental engines. EFA…Perfectly Positioned To Serve You! With our superb mid-continent location in Amarillo, Texas, we are ideally located to serve you whether you are a Panhandle area based customer or operate an aircraft that regularly flys transcontinental. We are here to serve you no matter the aircraft type that you operate! EFA is the quality leader in providing the best in comprehensive Maintenance and repair services that are easily within your range. For additional information on our key company contacts please reach out to our department heads listed on the relative page. At EFA we always are striving to make your life easier. We offer you a “one-stop-shop” for all of your aircrafts needs including Parts. Our well stocked parts department carries a wide range of parts for many aircraft types. If we do not have your exact part already in house we can quickly obtain it through our Parts Locating Services. In most cases we can offer counter to counter service where we get parts in the same day! For additional information on our parts service please contact Rob Weidauer by phone at 806-322-1971 or by email.